In most cases, there is no need to provide food. We provide Mounds brand dry kibble for our canine guests and use stainless steel bowls. Cats have a separate feeding station. Our feline guests are fed Science Diet dry kibble. Stainless steel water and food bowls are provided. Should you choose to bring your own food, please bring dry food in an airtight container or ZipLoc bag. Place food that needs refrigeration in individual portions, labeled with name of pet. We do recommend, however, that owners bring their own food for pets with allergies or for those who may be sensitive to a change in diet. We will feed your pet as close to his or her own feeding schedule as possible. In order that we stay consistent with your pet’s medical needs, individual medical cards are printed up with concise instructions for medications. Pets needing subcutaneous injections are also welcome with us. These medications are given as a courtesy, with no extra charge to our clients. 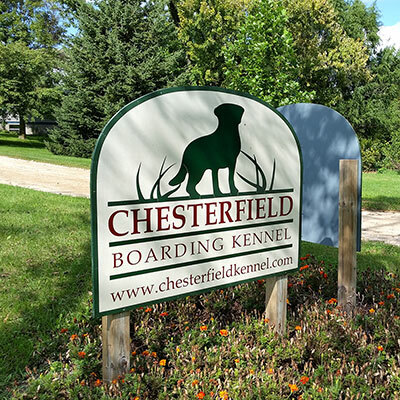 Craig, Sue, and everyone at Chesterfield Kennel are the absolute best! We wouldn’t trust our dogs anywhere else. 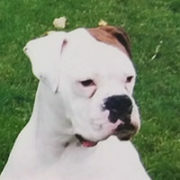 They are able to give medications, accommodate dietary request, and allow playtime with other dogs, if appropriate. Most of all, they treat your pets as if they are their own. Sometimes we think our dogs don’t want to come home with us when we pick them up.